Looks don’t matter? Try again. First impressions are crucial at job interviews, first dates, meeting the in-laws and when inviting people to answer your survey. Looks are not the only thing that matters, true, however, all the time you’ve spent crafting your survey invitation and reminder won’t matter if your invitation doesn’t grab people’s attention. Plus, you have crafted a visual identity for your brand that should shine through in everything you produce, including your survey invitations and reminders. Wait… does that involve some sort of knowledge in HTML? Nope, at least not with Enalyzer. We decided to make it as simple as possible for you, without compromising on your ability to make your brand shine. You can easily add your brand’s colors, fonts, and logos for a professional and enticing eye-catching design. This goes for survey invitations and reminders. 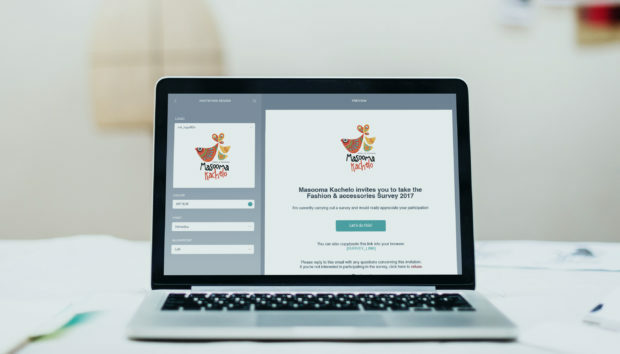 As with everything, your invitations and reminders are 100% responsive so your respondents can be wowed regardless of the device they are using. Last but not least, instead of creating new designs from scratch every time you send out a survey, you can reuse your messages. Include your survey into a workspace and your teammates will have access to its invitation and reminder messages.